Clare Landy is a physiotherapist from Australia, with an interest in lymphedema, oncology and palliative care. She moved to Austin from Sydney (Australia) in late 2015. In 2017, she obtained her massage therapy licence in Texas to allow her to continue to work in the oncology field. She is passionate about improving people’s quality of life and decreasing pain and discomfort through massage and education. She loves doing massage and seeing the relief that people get from her work. Clare is passionate about providing care for people in their homes, especially when they are unable to get to a therapy clinic. Clare has extensive training in lymphedema care. Along with this, Clare has undertaken training in Oncology Massage to ensure she is providing gentle, nurturing, and caring treatments to her clients. She is launching her mobile massage therapy work in South Austin in August 2017. She will be visiting clients where they are residing. She will offer massage therapy to help with pain and stress relief, edema management, joint mobilisation and relaxation. As well as working with OMA, she is a volunteer with Heart-to-heart Hospice and CareBOX Austin. 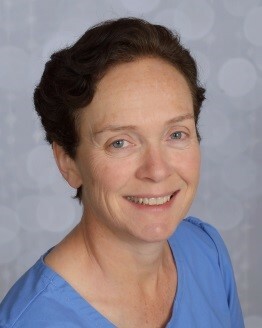 Clare is a member of NLN, AMTA, OMA and S4OM. She is a busy mom to her two young sons (in elementary and middle schools) and wife to Peter. Clare enjoys cycling and walking with her boys, gardening and spending time with the family’s young rescue cat, Hula.